Island visited by 411 members. The cliffs of Minaun are spectacular when viewed from Keel. They offer a popular launch site for hang-gliding. 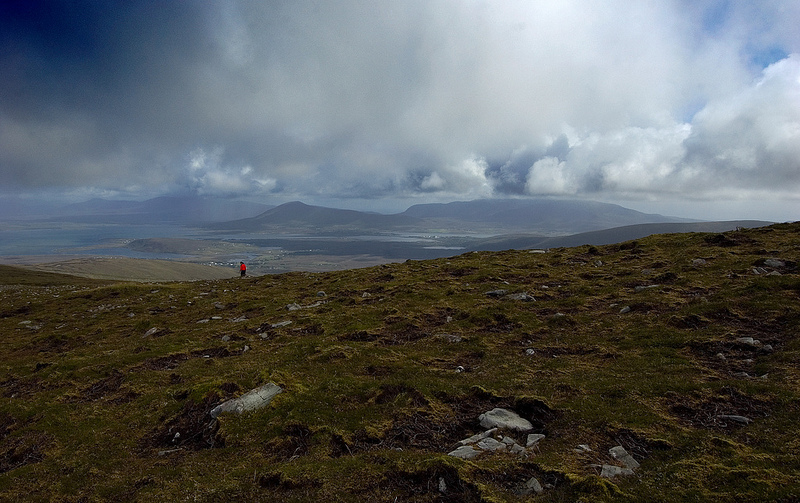 The summit is a magnificent viewpoint, giving a surprisingly broad view of all of Achill and much of West Mayo, considering its moderate height. For a walk to the TV mast on Minaun, see Siúlóidí Acla, walk K. The summit is a little further on. Sometimes spelt Menawn. Minaun is the 672nd highest place in Ireland.